We are delighted to introduce the first annual e-Newsletter of the Gender in Aquaculture and Fisheries Section of the Asian Fisheries Society. Officially launched during the Opening Session of the 12 Asian Fisheries and Aquaculture Forum of the Asian Fisheries Society in Iloilo, Philippines, the Newsletter introduces the Section, its membership and Executive Committee, news of our recent Conference, “Expanding the Horizons” Gender in Aquaculture and Fisheries 2018″ (GAF7), plus news of other gender research in fisheries. 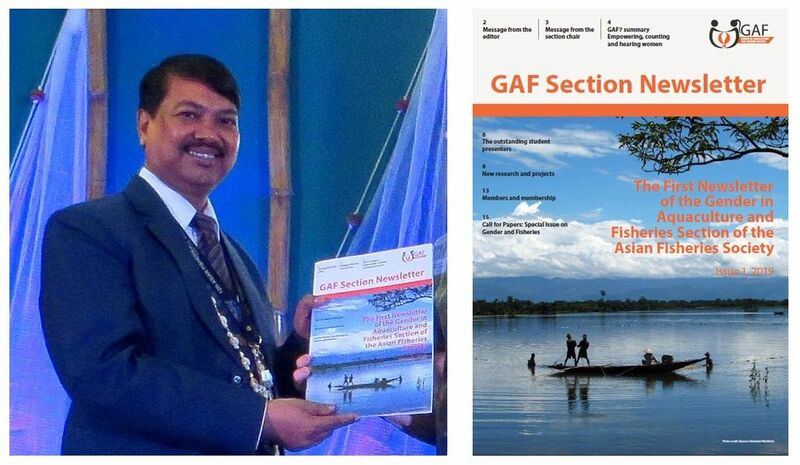 Dr J.K. Jena, President of the Asian Fisheries Society, officially launches the first Gender Section e-Newsletter on 9th April during the Opening Session of the 12th Asian Fisheries and Aquaculture Forum, Iloilo, Philippines. Photo (L): Dr V.S. Basheer. You can view and download the e-Newsletter here: link. 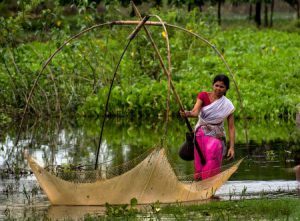 This entry was posted in Aquaculture, Fisheries, Gender, Women. Bookmark the permalink.